King Locksmiths is a great choice for high security lock installation in the Maryland and Washington D. C. areas. We are capable of installing high security locks on your homes and businesses. We are also available 24 hours a day, 7 days a week! What peace of mind that can give you. King Locksmiths is renowned for being trustworthy and delighting our customers with our high security lock installation. Our certified technicians have 5 years or more of practice in the field. What could be worse than having to deal with an in-experienced locksmith when you’re already stressed out? King Locksmiths’ High security locks are not ordinary locks. They have been studied for a long duration by security analysts, lock builders, and other locksmiths. 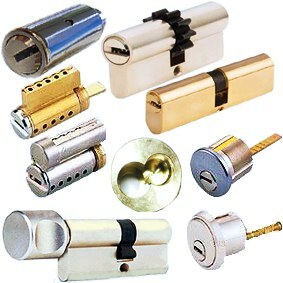 They have been found to be worthy of a high security rating and are the most reliable locks you can use. For residential service, King Locksmiths’ high security lock installation includes examining your current protection and describing supplementary solutions to keep you safe. Not only are we installing high security locks, we are repairing old ones or re-keying if necessary. Your home can really be a fortress. King Locksmiths does not stop there. For your business, our high security lock installation includes intercom and high-security systems. Also, as you have windows and doors that are made specifically for occupational spaces, we can set up security products for these apertures. We will protect your employees as well as your assets. People will want to work for you because they feel safe. King Locksmiths is your specialist for installing high security locks! MD-DC High Security Lock Installation with King Locksmiths https://kinglocksmiths.com/high-security-lock-installation/ Sorry, this page does not have any ratings yet.